Here's a look at the series 1.5 figure (on the left) next to the series 1 figure (on the right). Since the sculpt is exactly the same, check out the series 1 review for my full thoughts. For this one, I do like the red and black, although not as much as the original version. The paint work is still really neat and clean, though. What would have been even better would have been to give her a yellow and red outfit with black hair like the Golden Age Batwoman. That would have been a very unique variant. I still like this figure, although the fact that she's in a costume that doesn't match her typical Bombshells design does make her a bit less desirable to me. I can't complain about the price (considering I snagged her for $2.50) but if you pay full price, you might a bit. She's still a cool little figure, though, and a Great addition to any Bombshells or Batwoman collection. 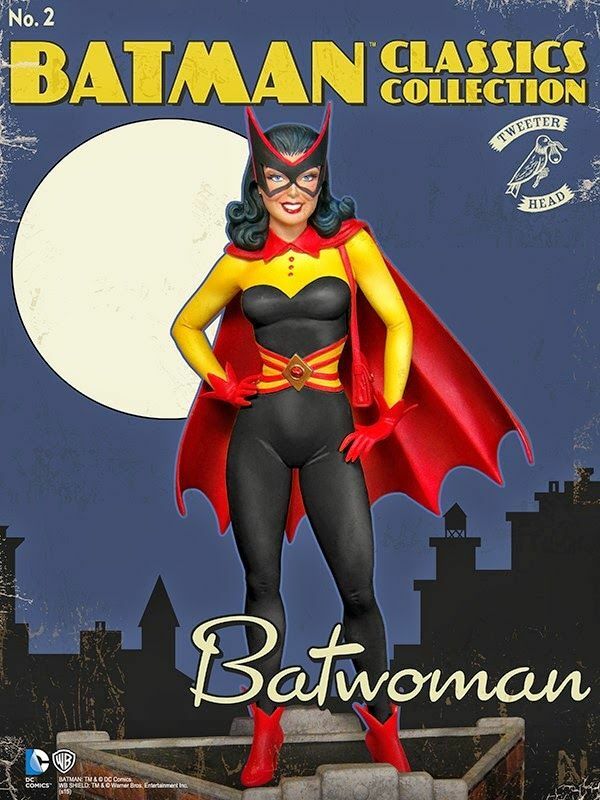 Looking for more Batwoman stuff? Then check out the following reviews I've written for the Kotobukiya Bishoujo Batwoman, and the series 1 Lil' Bombshells Batwoman, and the DC Designer Series Bombshells Batwoman.